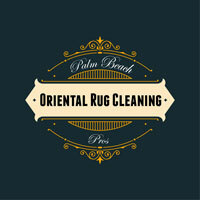 With years of experience in oriental rugs, Palm Beach Oriental Rug Cleaning Pros has developed and perfected cleaning processes suitable for any type of carpet, rug, or tapestry. 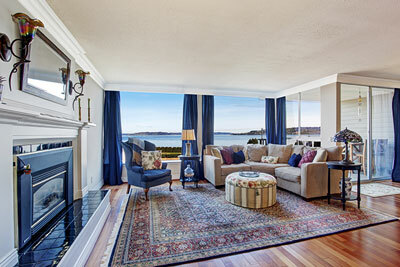 In addition to cleaning services, we offer expert advice, restoration, and repairs for your rug. The finest Oriental rugs are usually made with lanolin-rich wool, which acts as a pretty effective repellent. For this reason, small spills are usually easy to fix if soaked up quickly. Unfortunately, no matter how careful you are with your rugs, time will eventually take its toll. When it does, come to us for the best Oriental rug cleaning in Abacoa, FL. We are experts at removing dust, dirt, wine stains, food stains, pet stains, ink stains, oil stains, pet urine, mold, mildew, cigarette odors, insect infestations, and many other contaminants. Every time we clean a rug or tapestry, we take special precautions to protect its dyes and fibers and take preventative measures to protect the rug from future damage. Additionally, we tailor our approach for each job and never use corrosive chemicals, abrasive scrubbing machines, or rudimentary automated systems. Rather, we rely on our family's time-tested hand washing techniques that have been passed down for two generations. Our very thorough dirt removal, submerging, washing, rinsing, detailing, and drying methods can be trusted to safely and effectively clean and sanitize all types of fine area rugs, carpets, and tapestries, whether they are antique, semi-antique, or new. 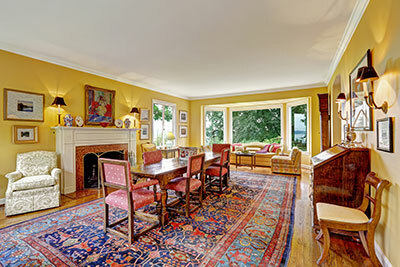 Generally, Oriental rugs should be professionally hand-cleaned every two to three years. This depends largely on the type of rug and the level of foot traffic it is exposed to. By following this rule of thumb, Abacoa, FL residents can protect their rugs' value and guard them against long-term erosion as pet urine, harsh chemicals, and other harmful substances can lead to mildew, mold growth, discoloration, long-lasting odors, and other damage. Moreover, regular professional rug cleaning promotes a healthier indoor environment as Oriental rugs tend to absorb pollutants and allergens. Given the importance of regular rug cleaning and maintenance, we do our best to make our process as stress-free as possible. When it comes to Oriental rug cleaning, our pre-cleaning process, also referred to as "dry particulate soil evacuation," relies on compressed air to remove loose grit, dirt, dust, and sand from your rug in a safe manner. While paying close attention to your rug's age, condition, and usage, we will apply a non-corrosive decontamination treatment to neutralize odors and/or contamination (i.e., moth infestations, smoke, pet urine, mildew, mold, etc.). Your rug will then be hand cleaned while submerged in a warm water basin. By using compressed air, we provide additional agitation in the form of a "Jacuzzi bath." Next, your rug will be rinsed of all soils and cleaning agents repeatedly until the rinse water is able to remain clean and clear. Your Oriental rug or other area rug will then be safely and thoroughly dried by use of a state-of-the-art, controlled-atmosphere drying room. After a final inspection, your rug will receive additional spot treatments to remove any remaining foreign matter. Once clean, we will repair and restore your rug in a manner similar to how it was originally made. When your rug is ready, we will return it to its original position in your Abacoa, FL home or business. We can also return your furniture to its original position and/or hang your rug.